Homme for the Holidays has never been so appealing! You can go there when you give your ‘homme boys’ a fresh, happy, and healthy gift that they will absolutely love. Habitude Daily facial moisturizer will leave their skin refreshingly hydrated and smelling très tantalizing thanks to zesty citrus power! A bonus bottle of 10 Gauge, our all natural health and energy drink, will introduce them to this excellent and tasty tangerine juice option for a safe energy boost. It’s packed full of impressive antioxidants and high performance vitamins, not body clogging chemicals and gut busting sugars. He’ll look great and love the way he feels inside too. Homme is where it’s at! Mulled cider. Lukewarm Chocolate. Spiked Punch. Glog. Say a bientôt to the ho-humbug usual and bonjour to the holiday healthful. 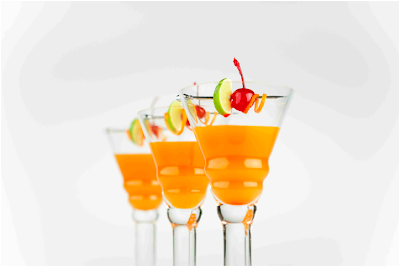 Be the Toast of the Town this season and give the nouvelle soiree beverage, SnapDragon to all your guests! Packed with powerful anti-aging super fruits and botanicals, and a merry blend of more, Votre Vu’s exclusive beauty beverage is sure to spread delicious cheer! It is fabulously refreshing on its own, and even more delectable when mixed with a myriad of options, Naughty or Nice. Complete with snappy drink recipes, SnapDragon makes a most memorable gift (amongst the usual bottles of staid wine). This great deal includes enough bottles for four separate events. You can dress these bottles up with a wine sleeve or pair them up with a mixer and drink card...any way it’s À Votre Santé! This holiday season be prepared to fend off moisture zapping winter winds and incredibly dry, overheated interiors with these vitamin E infused anti-aging formulas. TSA approved to fly away, equally fabulous and convenient in desk, locker, car and at your bedside, Bébé Duette is your go-to, must-have for soothing care for hands AND lips. The intoxicating hand crème leaves a protective soft veil of warm almond and coconut lingering on the skin. Two varieties of luxe lip balm contain UV filters for added protection. The ‘original’ formulation is perfect for all and now you can also enhance your natural winter flush with our newest framboise infused sheer balm. This Bébé Duette’s understated winter rose-hued shade is universally flattering for all skin tones. Oh-so-nicely priced and sized to share, this set allows you to generously spread holiday comfort and joy! s the previously insiders only luxury train case fitted with Votre Vu’s top three all-time best sellers. · Delicious SnapDragon Beauty Beverage - craved by top athletes, sultry celebrities, health minded models and merry moms and their families across the country. · Divinely decadent Duette - celebrity make-up artists are obsessed with the restorative lip balm and soothing, deep moisturizing hand crème creatively and conveniently packaged together. · Cool, blue Tout Le Monde - much adored eye gelée that is so light to the touch yet “a heavy” in the industry for working wonders on tired and overworked eyes. Loved for being successful in front of the camera, it is just as sought after for its ‘pow’ ingredients and ‘wow’ benefits by those behind the lens as well. Courtney, thanks for the heads up on the holiday specials. And for your readers who have never tried Votre Vu, now is the time! These holiday gift paks are a great deal and the products are so luxurious. At these prices you can treat yourself to a little Vu also!